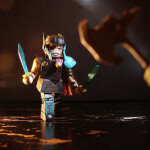 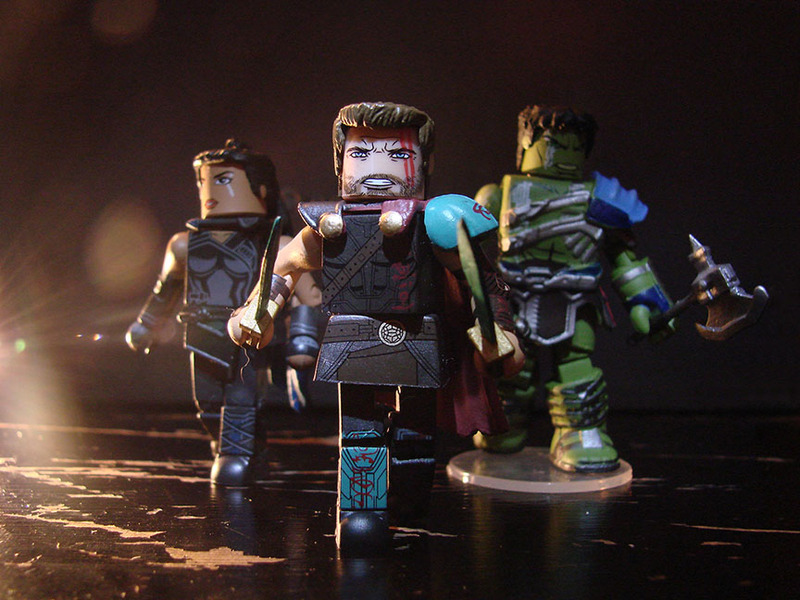 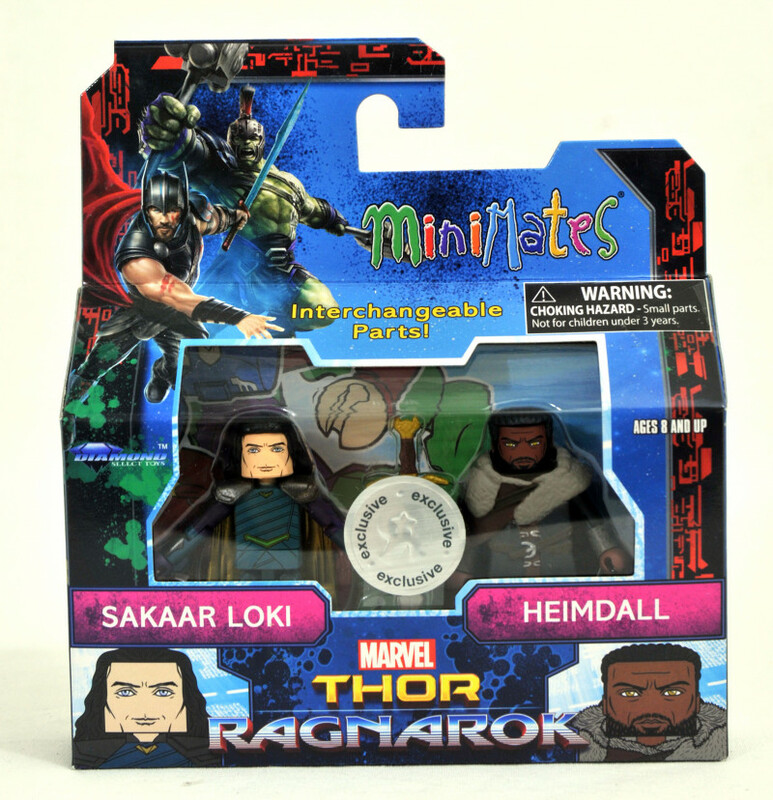 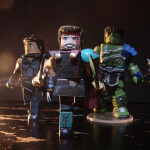 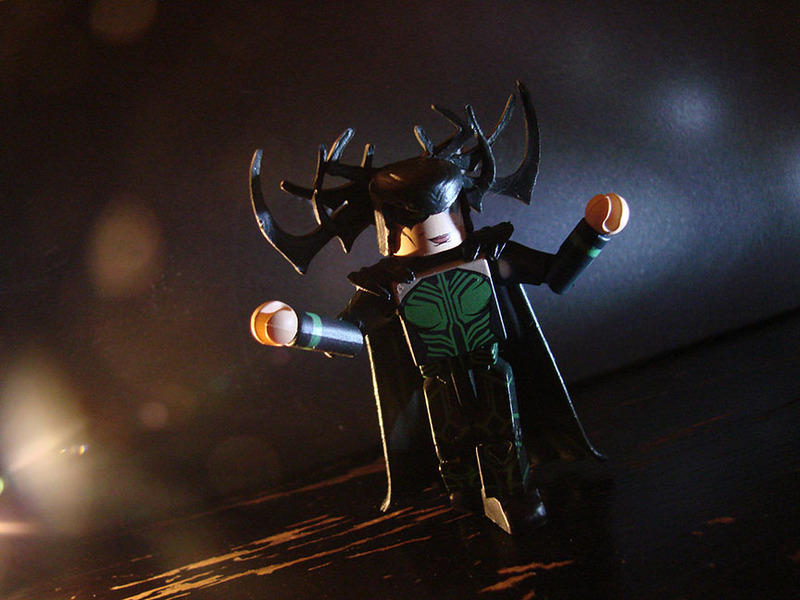 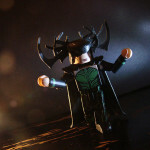 The highly anticipated motion picture Marvel’s Thor: Ragnarok is a box-office smash, and you can collect most of the film’s stellar cast in a new assortment of Marvel Minimates from Diamond Select Toys, in stores now! 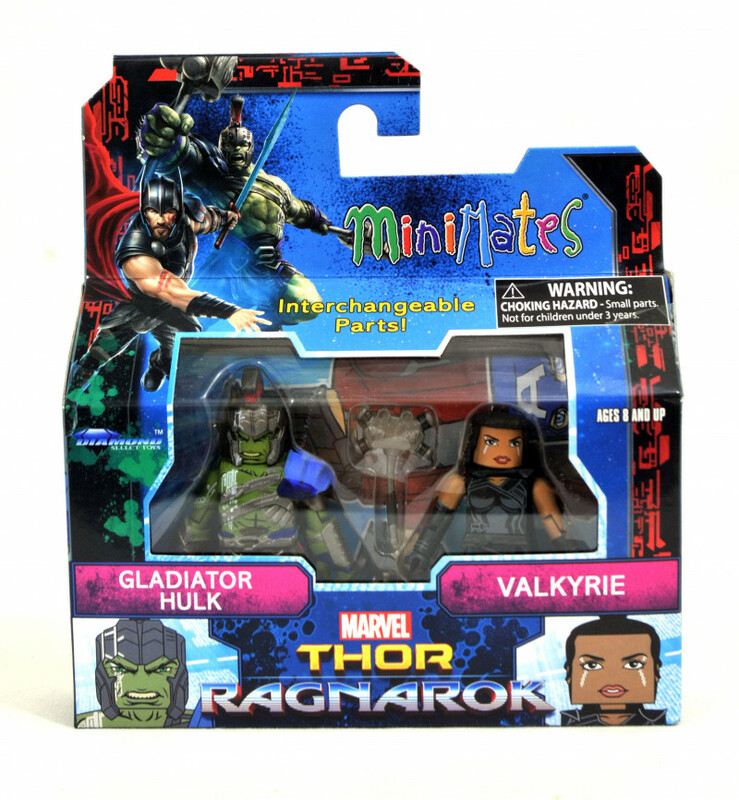 With exclusive mini-figures at comic shops, Toys”R”Us and Walgreens stores, you can relive the adventure of the movie in your own home! 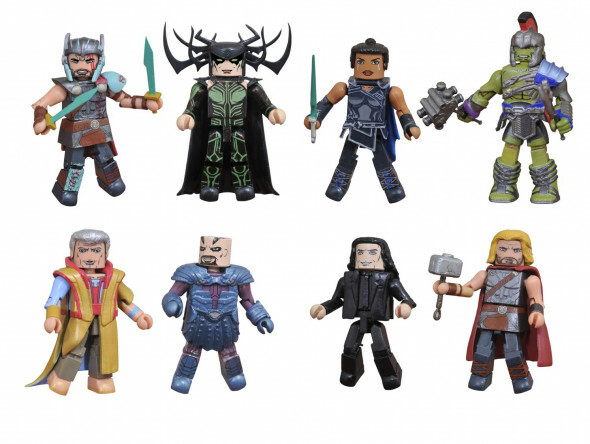 Three assortments or sets of figures are available now across North America. 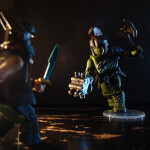 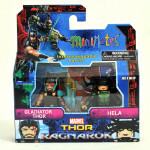 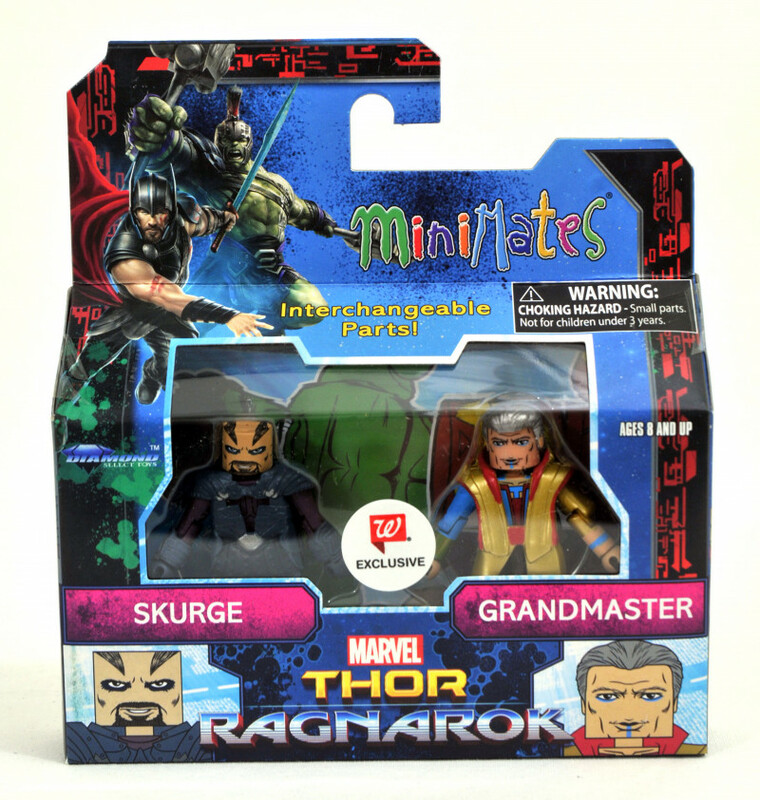 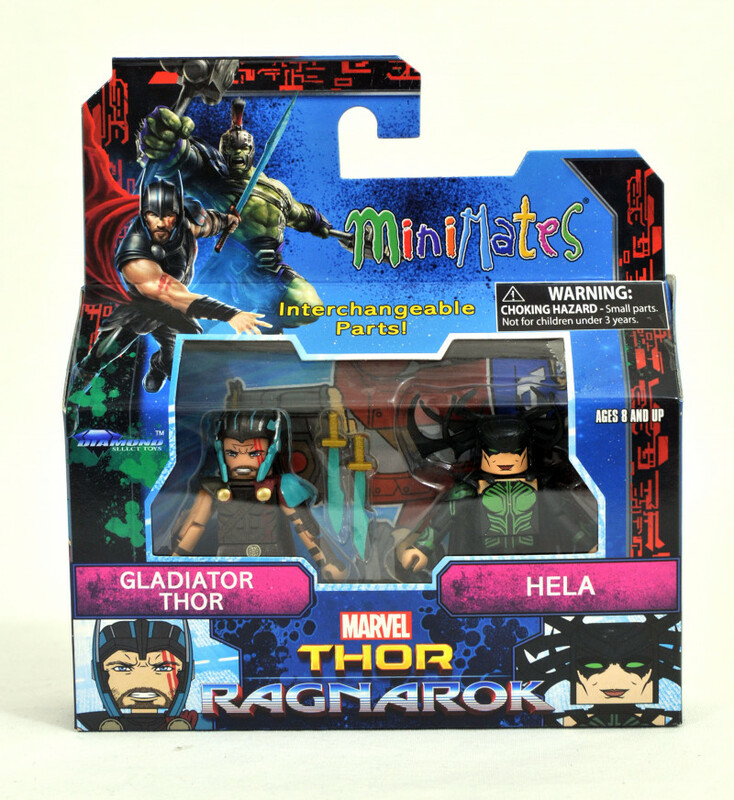 At Walgreens, four two-packs feature Gladiator Thor (with alternate hairpiece and swords) with Hela (with alternate hairpiece and head), Gladiator Hulk (with weapons and alternate hairpiece) with Valkyrie, and exclusive two-packs of Grandmaster with Skurge (both Marvel Minimates firsts!) 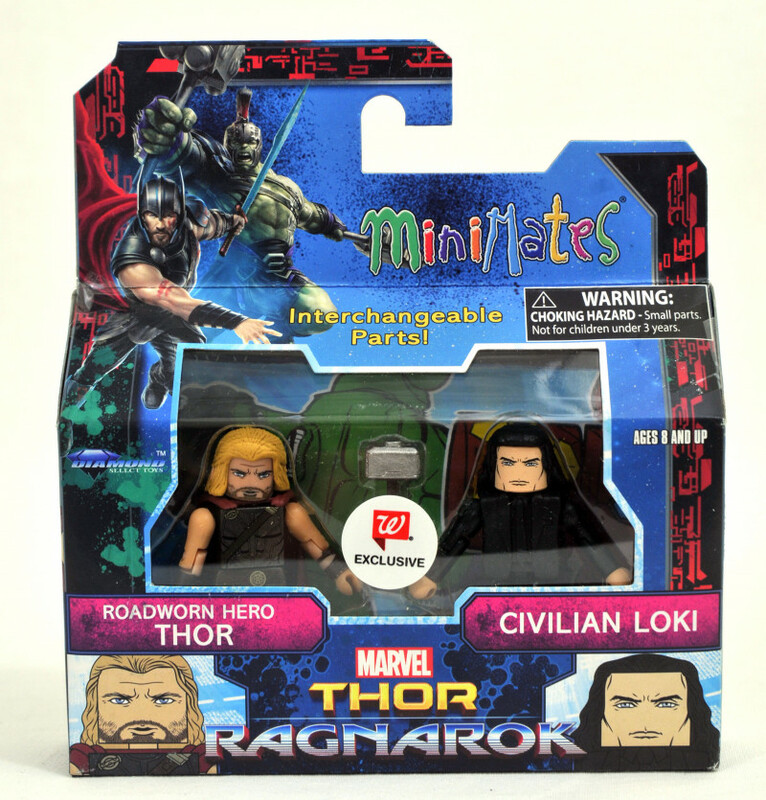 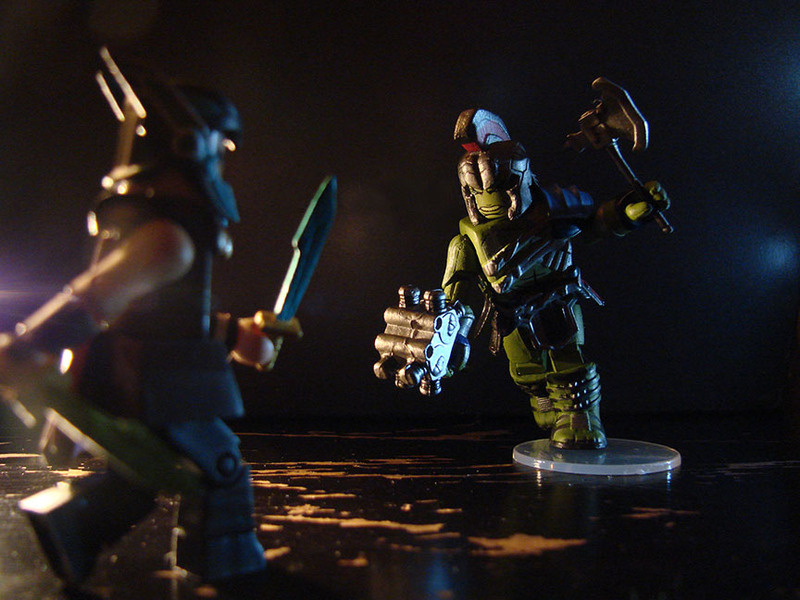 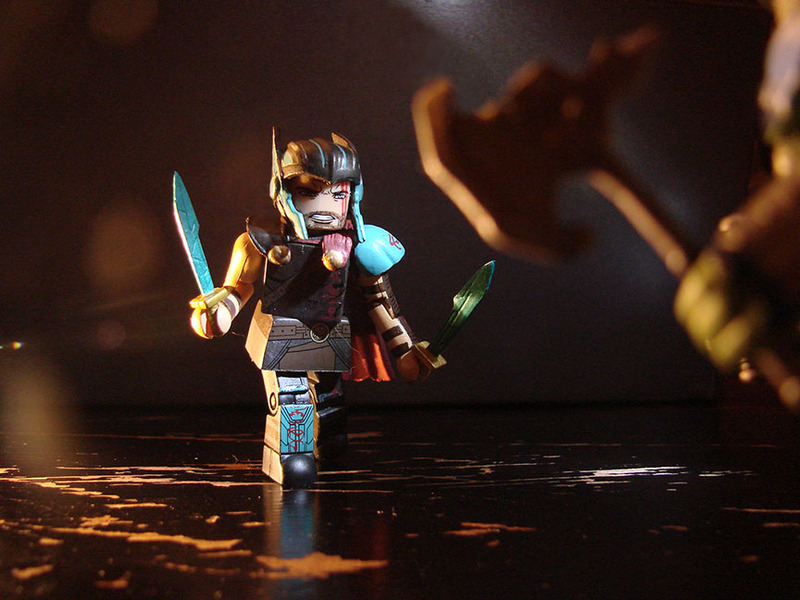 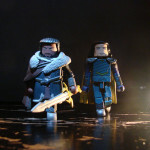 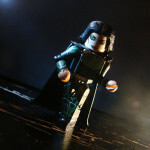 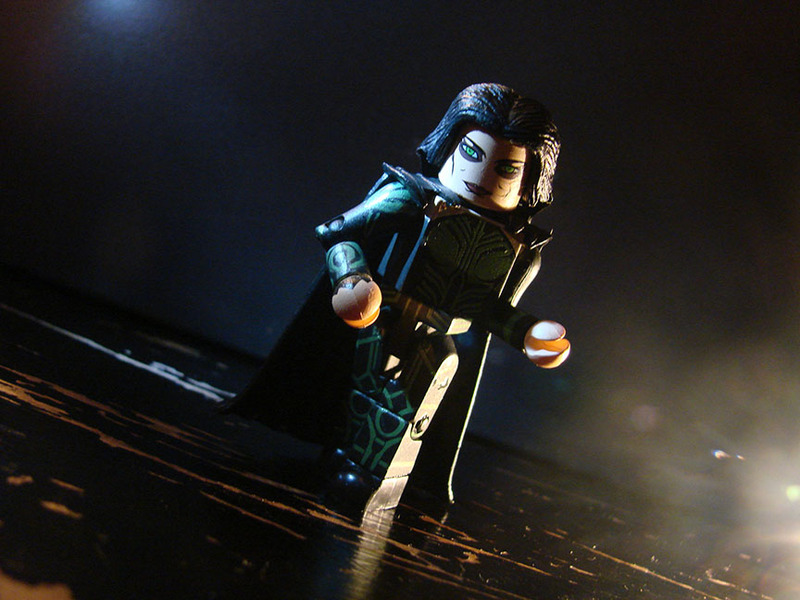 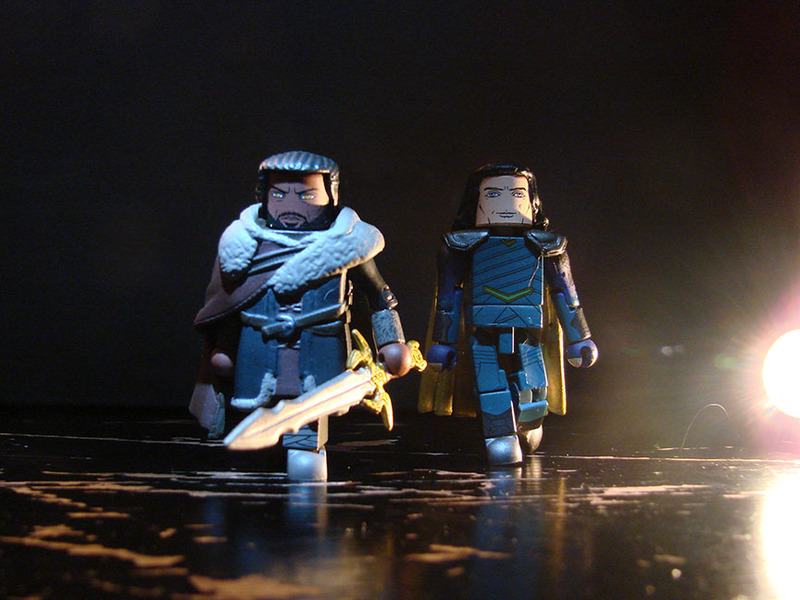 and Roadworn Thor (with Mjolnir) with Civilian Loki. 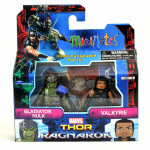 Visit Walgreens.com to find a location and check store availability. 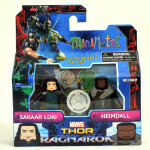 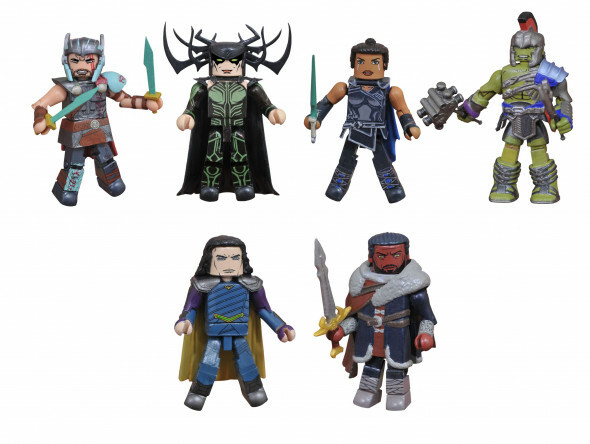 At Toys”R”Us, three two-packs feature Gladiator Thor (with alternate hairpiece and swords) with Hela (with alternate hairpiece and head), Gladiator Hulk (with weapons and alternate hairpiece) with Valkyrie, and an exclusive two-pack of Loki (Sakaar outfit) and Heimdall (with sword). 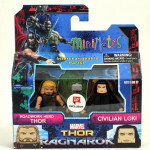 Visit toysrus.com to order online or check store availability. 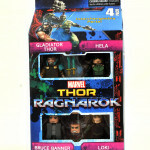 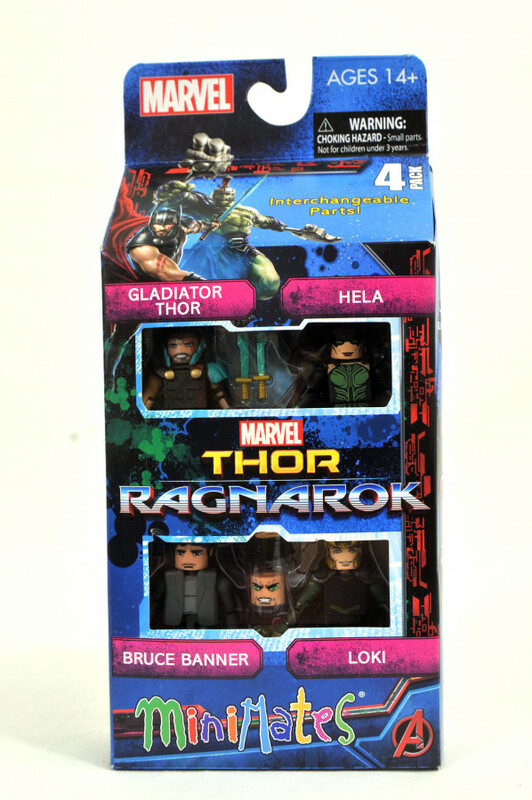 At comic shops, a four-pack of figures includes Gladiator Thor (with alternate hairpiece), Hela (with alternate hairpiece and head), and exclusive figures of Bruce Banner (with alternate head) and Loki. 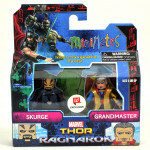 Find an eligible store at comicshoplocator.com! 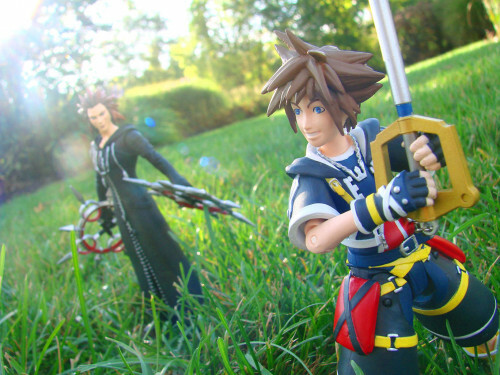 Next Up: Ask DST #377: Kingdom Hearts, Pacific Rim, Gotham & More!